Further research into Middle America bigfoot sightings indicates a strong connection between bigfoot and Native Americans, and witness descriptions show a strong human likeness. 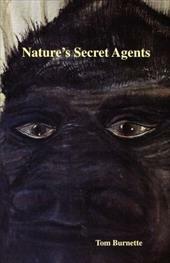 The latest research from the author of the groundbreaking The Hoopa Project: Bigfoot Encounters in California named 2008 Bigfoot Book of the Year by Cryptomundo.com. Dave Paulides brings his law-enforcement investigative and analytical skills to an expanded area of research: the counties in Northern California that have reported the greatest numbers of bigfoot occurrences, and beyond to Minnesota and Oklahoma. Gaining access to many people who have never discussed their bigfoot experiences publicly before now, the author obtains intriguing details that broaden our perception of the elusive creature; and his subsequent analysis leads to the discovery of a strong and consistent link between bigfoot and the Native American community. The expert interview and artistic skills of forensic artist Harvey Pratt help to define the creatures described by the witnesses - - once again with astonishing and illuminating results. The presentation of startling new forensic evidence indicates that there truly is an as-yet-unidentified primate living in the wilds of North America, and the author hints at new data on the horizon that will finally provide the tantalizing truth about the existence of bigfoot in North America.